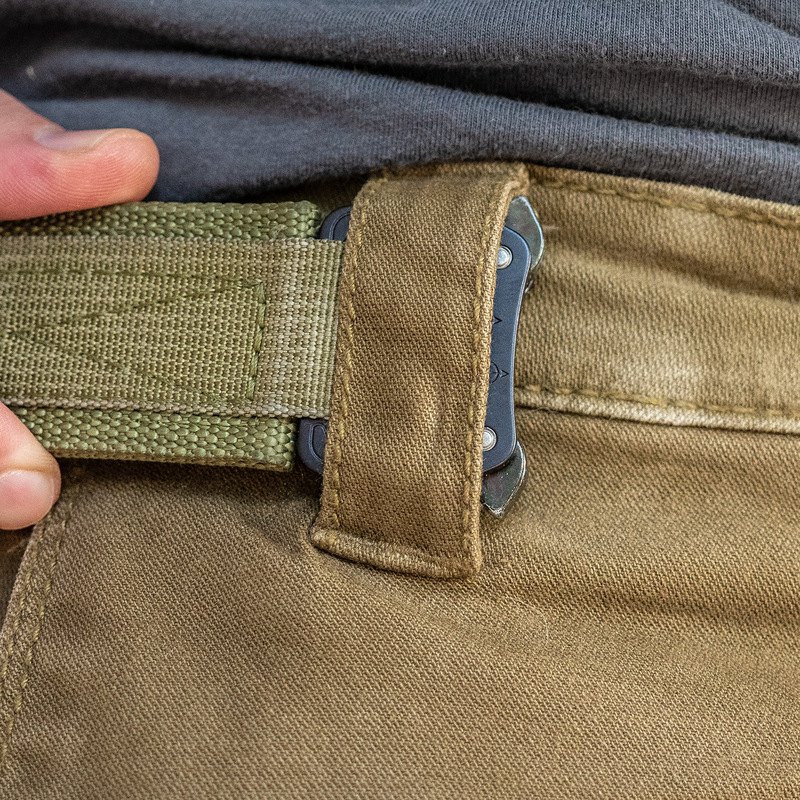 The EDC Hybrid Belt has been my favorite belt for awhile. It combines all the pros of a Cobra Belt (solid, easy to buckle/unbuckle, secure, strong, and just 'cool'), without the biggest con (not being able to fit it through standard belt loops). The smaller female end allows the belt to be fed through standard belt loops without having to take the thing apart. These are made, shipped, and warrantied by the awesome guys at Blue Alpha Gear (Made in the USA!). 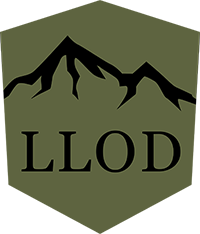 These belts ship in about 1 - 2 weeks directly from Blue Alpha Gear. If you order anything else with this belt, it'll ship directly from me, and you'll receive two (2) packages total! These belts carry a lifetime, no questions asked, warranty. 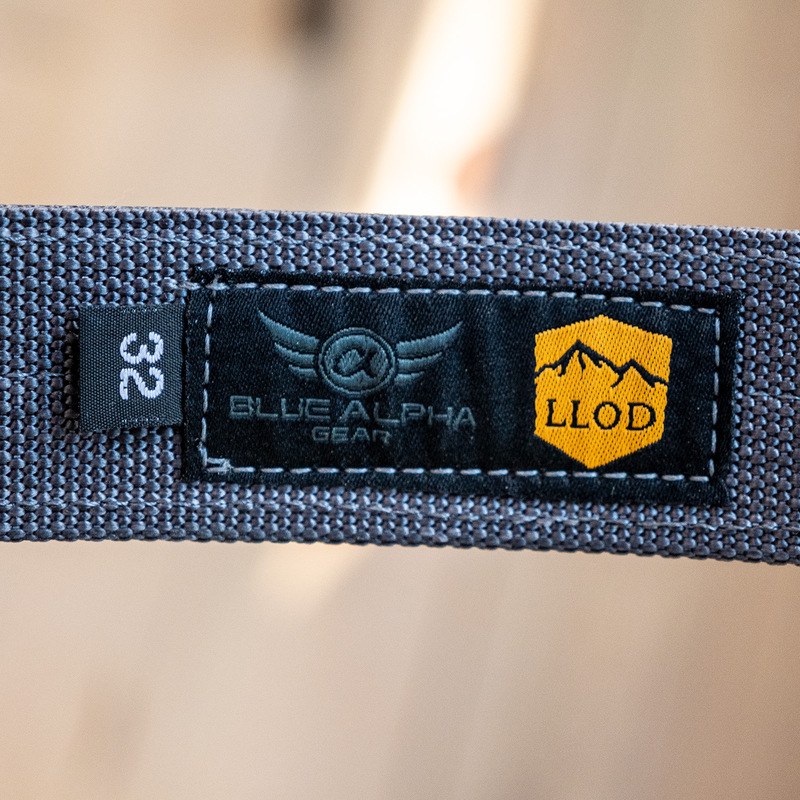 Belts are made by Blue Alpha Gear, right here in the USA. Our EDC belts are made from two layers of high quality 1.5" nylon webbing that are sewn together with matching color bonded nylon thread creating an extra strong and extra stiff belt that looks great. 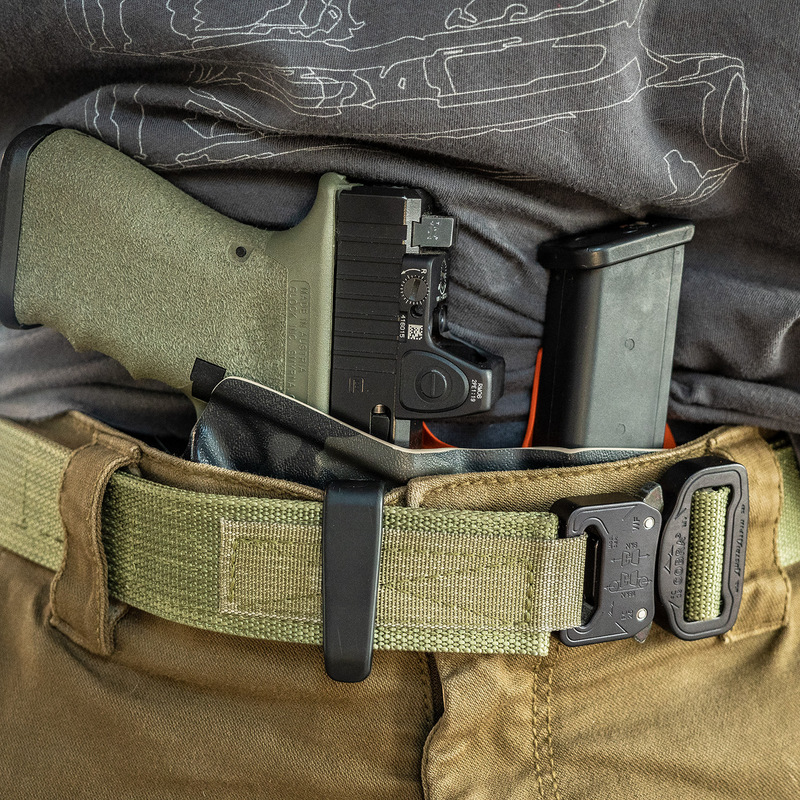 The sizing is specific to each pant size, yet allows for movement of your waistline or for the extra space you need for your IWB daily carry. We make each belt with pride in the USA and they carry a Lifetime no questions asked Warranty! 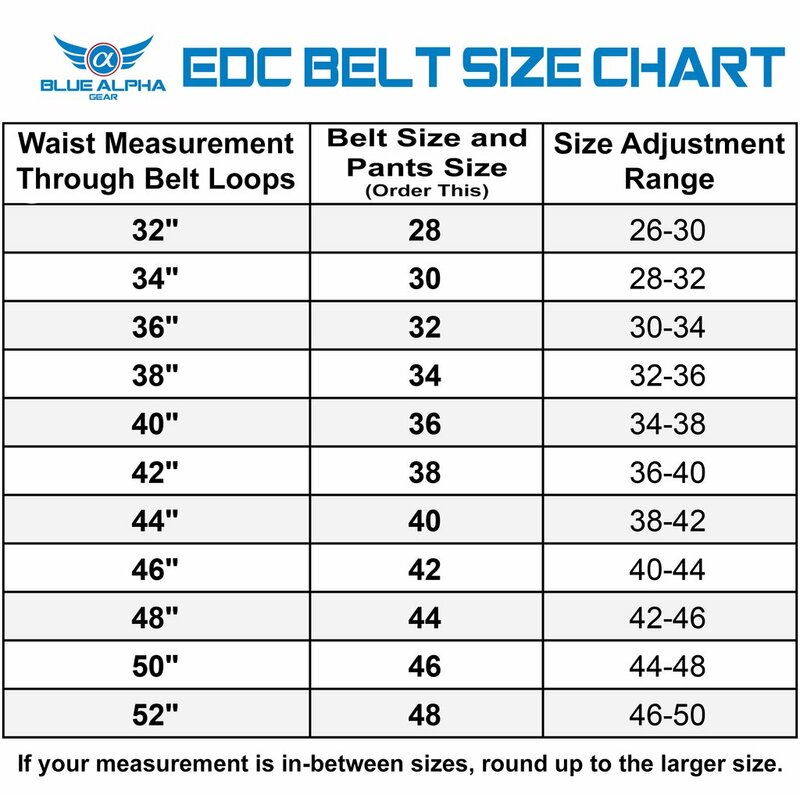 Sizing note: Order your belt based on the pants size you wear. 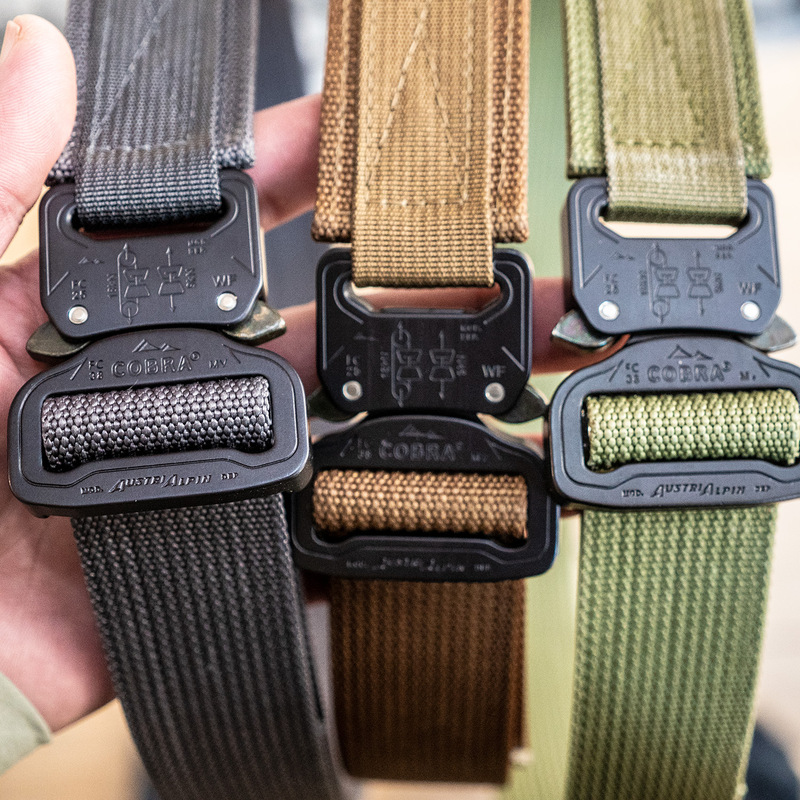 Our belts are designed to work +1 and -1 size, for example a 34 belt will also fit 32 and 36. If you feel like you are in between two sizes or can't decide which of two sizes to choose, we recommend the larger size. There is a Size Chart in the photos.